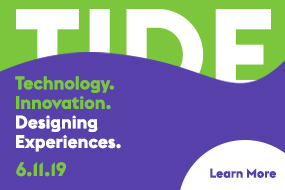 SEGD Branded Environments 2019— held in partnership with Digital Signage Expo (DSE) 2019 — is the event for the design of brand-centric customer experiences. Integrating meaningful brand experiences into places and spaces provide the highest branding return on investment to owners and their users. 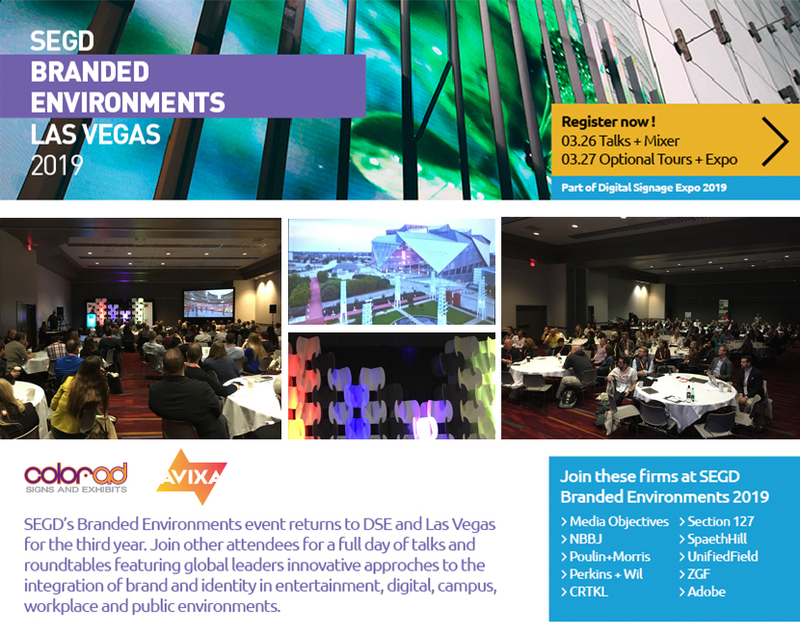 The SEGD Branded Environments event returns to the DSE in Las Vegas for the third year in a row by popular demand with a great lineup of speakers and tours. 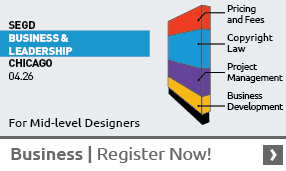 As part of your (non-vendor) registration, you also get access to the DSE show floor to see the latest developments in digital technologies and fire your imagination about new ways to create solutions in your experiential graphic design projects. Sponsors of the SEGD Branded Environments event are often among the select group of vendors who form part of the curated SEGD tour of the show floor for the mainly designer group of attendees. “Every brand wants to create Instagrammable moments nowadays. Experiential Graphic Designers know just how to deliver them” said Clive Roux, SEGD CEO. 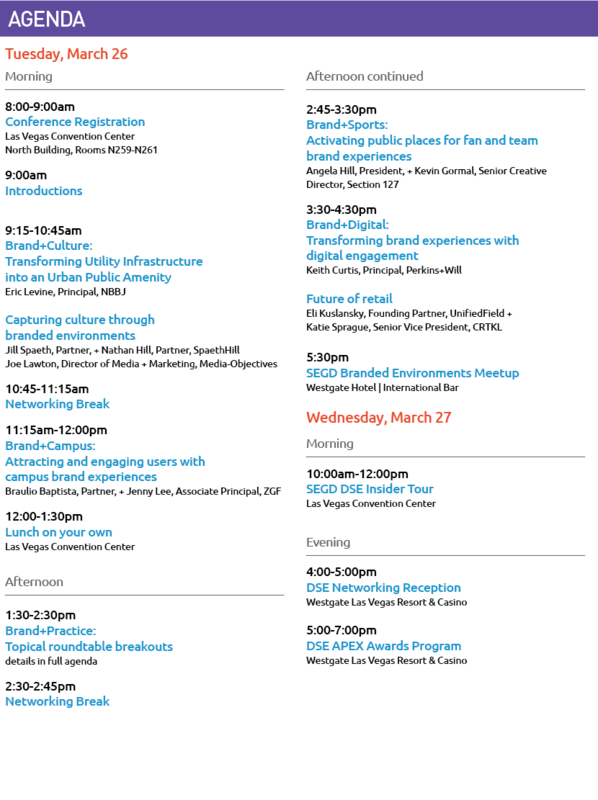 Join SEGD at DSE in March! The 2018 Branded Environments event was an extremely valuable learning experience for the attendees, who toured new projects in Las Vegas like the new Mob Museum and heard about cutting-edge projects in branded environments from leaders in the field. DSE has room blocks reserved at various hotels in Las Vegas, with deadlines to reserve at the DSE discount ranging from late February to early March. For more details and to make a reservation, visit the DSE 2019 web site.